Gift shopping can be difficult, especially for older adults. Not only do they simply buy items they need for themselves, most people seem to be trying to declutter after years of accumulating stuff. That leaves me trying to think of clutter-free yet useful gifts on a budget, and — as you know — that is HARD. Gifts for genealogists, however, are plentiful. Family history gifts come in a range of prices, making them affordable no matter what your budget. Many people consider the resources and tools for genealogy to be a luxury and are less willing to buy them for themselves, so if you have a genealogist on your gift list, you are in luck. 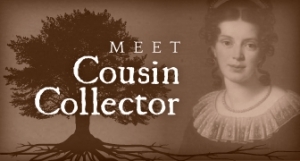 There are so many useful gifts for people who research family history that you’ll have a hard time narrowing down your choices! 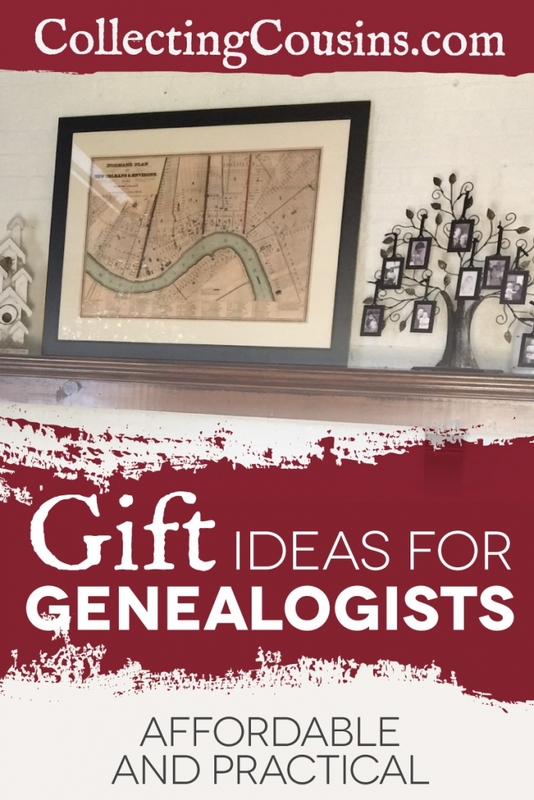 Below are gift ideas for genealogists in a variety of price ranges; I’ve included some thoughts to help guide your choices. If you have ideas that I’ve missed or feedback on items I’ve listed, I’d love to hear your family history gift ideas in the comments. Office Supply Store Gift Card – Show me a genealogist, and I’ll show you someone whose eyes light up around office supplies. Whether it’s three-ring binders, highlighters, sticky notes, or fasteners for the piles of paper we generate, there is a very long list of office supplies that researchers need. Quick Reference Guides – My favorite and most commonly referenced cheat sheet is a 4-page laminated guide to the U.S. Federal Censuses. There are many others on a variety of topics, but this handy chart tells me at a glance which censuses were lost, the date the official enumeration date for that census year, the questions asked by the enumerator, and more. For $8.95, it makes a perfect inexpensive gift that will be used over and over. Laminator (affiliate link)- I have an inexpensive laminator that I use to create my own quick reference guides. My laminator was from Aldi (unfortunately it was one of their “here today and gone tomorrow” items) but this Amazon brand laminator costs less than I paid and gets great reviews. For an example of how I use this, I printed the Family Tree Magazine Vital Records Chart onto cardstock and laminated it for a durable copy that I frequently reference. For under $20, this is a great gift. if you want to spend a little extra, include a packet of assorted sizes of laminating pockets. NGS Research in the States books – “Early in the history of the NGS Quarterly, lengthy articles about researching in specific states were featured. Eventually the articles were updated, expanded, and published as concise guides to the history, records, and research facilities of a state.” These books are available in physical or digital format and are available for many states (but not all). They can be purchased at the NGS online store for under $20 each. Family Tree Magazine subscription – Available in both print and Kindle editions, this is the most popular mainstream genealogy magazine right now. The issues include articles, how-to’s, free forms, lists of resources and websites, and more. Because of the included templates (and because I just prefer magazines in physical form), I recommend the physical subscription for $27/year. There are upgrades that can be purchased for premium content (summary here). USB, SanDisk, and CompactFlash Drives – Genealogists do a lot of scanning, and that means portable storage. If you know what size disk your genealogist’s camera uses, you can’t go wrong investing in a high speed, high capacity disk. USB thumb drives are universally helpful for anyone visiting repositories and scanning. Archival Storage Solutions – Preserving heirlooms, documents, and photos can get expensive. Archival storage supplies are always welcome and will ensure that future generations can enjoy these sentimental family items. Gift certificates are not available at Gaylord’s, unfortunately, but archival boxes, folders, and photo sleeves are universally useful. Evidentia Software – This powerful software for PC and Mac can help genealogists solve vexing problems. Most software is created with a focus on people, but Evidentia’s focus is on sources. The source-focus helps researchers dig deeper into every detail found in a particular document and presents the information in a way that allows for deeper analysis of the whole picture. Many family historians have never researched this way and it can help them make new breakthroughs for difficult research questions. For $29.99, this is a great deal. Etsy Handmade Gifts – Etsy artists have a wide variety of affordable genealogy-themed gifts from printables to jewelry. One of my favorite personalized gifts is tree pendants with birthstones – a fun twist is to use ancestor birth months instead of children and grandchildren birth months. Legacy Family Tree Webinars Annual Membership – These webinars by authorities in the field are available on demand with an annual subscription. Whether your genealogist wants to learn about emerging DNA technology for genealogy or migration patterns across the U.S., this gift has something for everyone. Webinars come with a downloadable syllabus. Gift cards are also available and can be used toward an annual subscription or individual webinars. 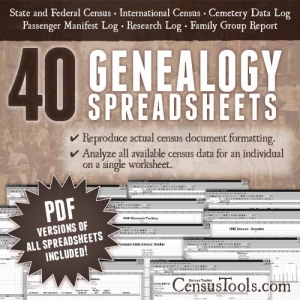 Because of its broad topic range, this is a top pick for any genealogist. Print and Frame a Historical Map – Genealogists love maps, and they especially love maps with meaning. A historical map from a time period when their ancestor lived in a specific locale is a wonderful gift. Many historical maps can be found online and downloaded for free. Copy shops can print the files in high quality in a variety of sizes for framing. One of my favorite wall decorations is the framed 1845 New Orleans map pictured above because my ancestors were living there during that time period. I had it printed at FedEx and framed with an inexpensive craft store frame for under $50. Dave Rumsey’s site is a good place to look for maps to download. Cassette Digitizer (affiliate link) – I wrote an in-depth blog post about how to use this nifty little cassette player with the free Audacity software to digitize cassette tapes. Most of us have tapes with stories, interviews, and other audio from family members who are no longer living. At $37, this little tool will help turn those audio tapes into digital files for sharing, something most family historians long to do. Bonus points for buying the digitizer yourself and doing the work for them as part of the gift! Backup Solutions – The worst case scenario for any genealogist is losing data. With pricing falling each year for external hard drives, a high capacity drive can be purchased affordably as a gift (1TB or more is the best size). Mac users can use the free Time Machine software that comes with Mac OS to back up to an external drive; Windows users can use a software like SyncBackPro, which also makes a good gift. Fold3 Subscription – With its enormous database of digitized military records, access to Fold3 can provide your genealogist with detailed information about people who served in the military as well as their families and even civilians in the community. At $80/year it is a little pricey, but if your genealogist is researching individuals who lived in the U.S., odds are good that Fold3 has helpful information. Virtual Institute of Genealogical Research – VIGR has almost three dozen downloadable courses by experts in their fields for $70 each, including several covering DNA. 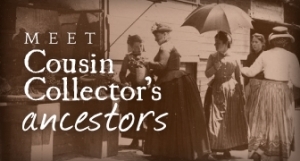 These quality courses are a great way give a clutter-free gift that will help your favorite genealogist improve their skills. Since the courses are downloaded, they can be completed anytime, anywhere. Portable Scanner (affiliate links)- One of the most useful tools in my traveling research bag is my Doxie Go. This little scanner is ideal for not just scanning family photos and documents, but also for digitizing office papers. It is compact and portable, and it scans quickly, making quick work of big jobs. Many genealogists also like the FlipPal which I also own, but I find myself turning to the Doxie Go for all but large or awkward items. Ancestry Subscription – Ancestry is the most popular paid service offering access to genealogical records. Because of its price, many genealogists rotate subscription periods to save money, making a gift subscription especially valued. You can view the subscription levels here and purchase a gift subscription here.